Black Tudors by Dr Miranda Kaufmann is an ambitious book loaded with little-known Tudor trivia that has long been overdue in the study of 16th century England, and fortunately for the future of this little-explored topic, the result is a fascinating production of the utmost quality that takes a close look at ten individuals who could, quite accurately, be considered Black Tudors. There is a common-held belief that these British Isles were inhabited by a native, white population before the rise of Slavery, the Industrial Revolution, and the onset of twentieth century globalisation with the voyage of the Empire Windrush from the Caribbean, that people of colour quite simply were unknown to our Tudor-period ancestors. Yet, as Dr Kaufmann shows in this illuminating and extraordinarily in-depth publication, such a view is quite simply nonsense. As the author notes in the blurb, people of colour were christened, married and buried by the church in England, and were paid wages just like any other 16th century person. They formed integral parts of the communities they lived in, and provided services that were often welcomed, and in many cases, essential. 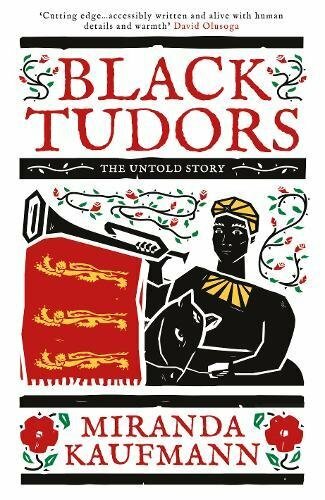 For even the most ardent of Tudor readers and students, there will be much within Black Tudors that you simply didn’t know, and this is where the true value of this work can be found. Dr Kaufmann is not simply covering well-trodden ground, an issue which has often plagued the study of the sixteenth century, but instead is revealing information that most of her audience will be coming across for the first time. The results are astounding. Who knew, for example, that Africans were the predominant divers of their day, a fact which witnessed the recruitment of an African named Jacques Francis to try and salvage some items from the sunken Mary Rose in 1450s, over four hundred years before the ship was eventually raised from the sea bed. Sir Francis Drake was just one prominent figure of his day who employed a person of colour, in his case Diego, a freed slave from Panama who would go on to circumnavigate much of the globe with his English captain, often working as an interpreter. Of course, the history isn’t always joyous, as discovered by the tragic tale of Black Maria, a woman aboard one of Drake’s ships who was raped, impregnated and then abandoned on an island when she presumably had outlived her usefulness. We are also treated to the curious tale of a black porter named Edward Swarthye, who in 1596 in rural Gloucestershire was employed to whip a white member of the gentry named John Guye, perhaps an incident unfathomable to our preconceived ideas of enforced black subservience in the past. A particular entry which I thoroughly enjoyed reading involved the wonderfully-named Reasonable Blackman, who was able to take advantage of his freedom in England to become a successful silk weaver in Southwark, counting many wealthy aristocrats and merchants amongst his clientele. The author is an expert in her field, a Senior Research Fellow at the Institute of Commonwealth Studies and an Oxford graduate, where her doctoral thesis was based on the presence of Africans in Britain between 1500 and 1640. The subject couldn’t be in safer hands. Dr Kaufmann’s research is impeccable, and has to be for such a detailed if specific study of those people who for so long have been disregarded by centuries of historians. She treats each of her subjects as individuals in their own right instead of just a community, exploring each life with a delicate warmth and respect that endears those individuals to the reader. We are gripped by their story. 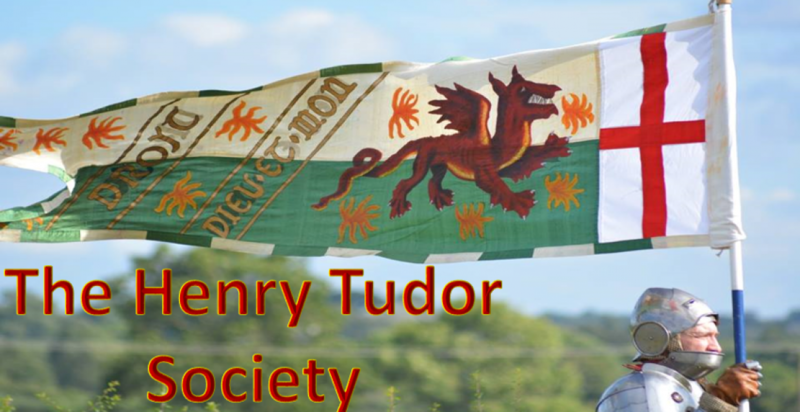 Black Tudors is essentially a fascinating and concise microhistory of a small but important community in 16th century living their everyday lives amidst the much greater socio-political matters occurring around them, from the Great Matter and Reformation of Henry VIII to the threat posed by Spain against Elizabeth I. This book has no filler, and is wholly focused on its objective, a heavily-researched, well-referenced and pioneering, production. At 34-pages, her bibliography is possibly the most exhaustive I have seen. Kaufmann succeeds in her project, and succeeds well. In her introduction, Dr Kaufmann notes ‘the misconceptions surrounding the status of Black Tudors are part of a wider impression that any African living outside Africa before the mid-fifteenth century, be it in Europe of the Americas must have been enslaved’, further pointing out in her conclusion that Africans were seen and heard across England, from Hull to Truro. This book will hopefully go some way to dispelling this misguided belief that many of us hold. Kaufmann also states confidently “for all those who thought they knew the Tudors, it is time to think again”. She’s right. Dr. Miranda Kaufmann is a Senior Research Fellow at the Institute of Commonwealth Studies, part of the School of Advanced Study, University of London. She read History at Christ Church, Oxford, where she completed her doctoral thesis on ‘Africans in Britain, 1500-1640’ in 2011. As a freelance historian and journalist, she has worked for The Sunday Times, the BBC, the National Trust, English Heritage, the Oxford Companion series, Quercus publishing and the Rugby Football Foundation. She is a popular speaker at conferences, seminars and schools from Hull to Jamaica and has published articles in academic journals and elsewhere (including the Times Literary Supplement, The Times, The Guardian, History Today, BBC History Magazine and Periscope Post). She enjoys engaging in debate at the intersection of past and present and has been interviewed by the BBC, Sky News, Al Jazeera USA and the Observer.